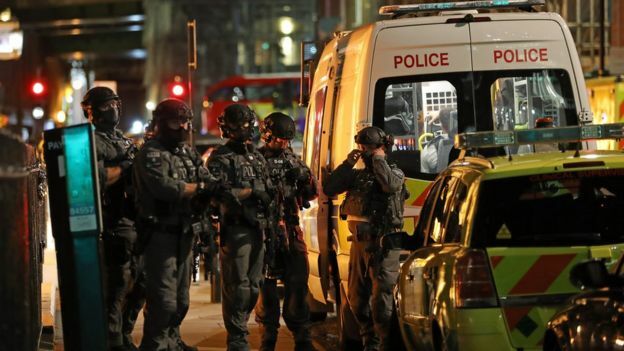 British Prime Minister Theresa May claimed there was “too much tolerance” of Islamist extremism in the UK as she vowed a clampdown in the wake of the third terror attack to hit the UK this year. 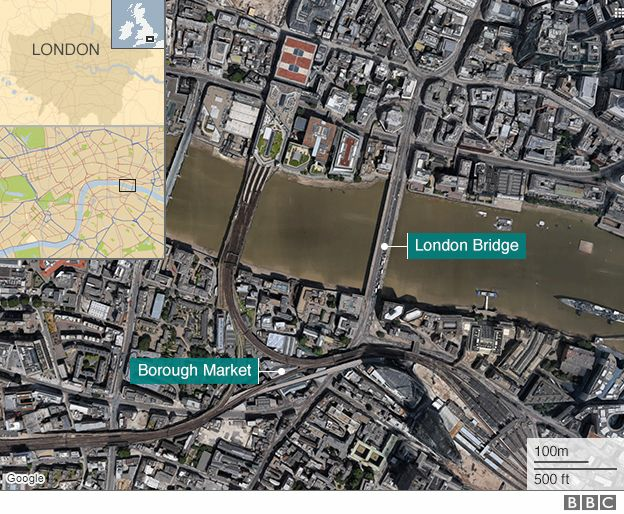 Seven people died and 48 were injured when three masked men drove a van into pedestrians on London Bridge before leaping out and launching a stabbing spree in nearby bars and restaurants. Police said the three attackers, wearing fake suicide belts to sow further panic, were shot dead within eight minutes of police receiving the first emergency call just after 10 p.m. local time. • Large area south of London Bridge cordoned off as intense police investigation continues. • Some of the surviving victims have life-threatening injuries. • Major parties suspend general election campaign for a day but vote will go ahead on Thursday as planned. “It is an ideology that claims our Western values of freedom, democracy and human rights are incompatible with the religion of Islam,” she said. “Defeating this ideology is one of the great challenges of our time, but it cannot be defeated by military intervention alone. Eyewitnesses spoke of panic as three men armed with “foot-long” knives burst into packed restaurants and cafes, slashing at those inside indiscriminately. Many customers fought off the attackers, using chairs, pint glasses and bottles. Others hid behind tables and inside bathrooms or attempted to flee.